Progressive lenses allow a person to see clearly at different viewing distances with a seamless transition between focal points. 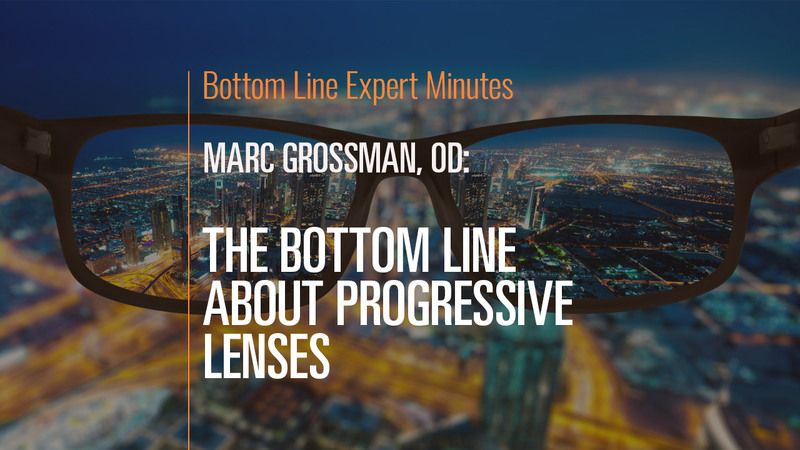 In this video, Dr. Marc Grossman, OD, LAc, holistic developmental/behavioral optometrist and licensed acupuncturist, discusses the pros and cons of progressive lenses. While progressive lenses offer flexibility and the convenience of a single pair of glasses, they can also make eye muscles work harder in order to focus. If you are doing a lot of quick shifting between focal distances (during driving, for example), progressive lenses may be appropriate, but for sustained close work, a separate pair of reading glasses is the best option. Additionally, because progressive lenses offer the ability to see clearly at varying distances in a single pair of glasses, they need to be fit very precisely or else it is possible that you will inadvertently be viewing the world through an incorrect prescription.